I heard that Peter funded this video 100% on his own so I suggest we thank Peter for the free content. So with that I say THANK YOU PETER! Thank you Peter. This video is rad! Yeah, thank you!!! And thanks for all the passion! double props! Thank you Peter and Riders! I second that. All that hard work and giving it to us for free. Be grateful, people! I was expecting a trailer, but got a full film. I was also supposed to do house work today, but watched a mtb movie instead. Thx for the content yall. Thanks for the sick film!! Nice to see Rogatkins approach to the biggest contests in the sport. Obviously he trains hard but he really seems to enjoy the opportunity and the stoke of “riding with the boys” And putting on a show for the crowd. Well filmed and great video. 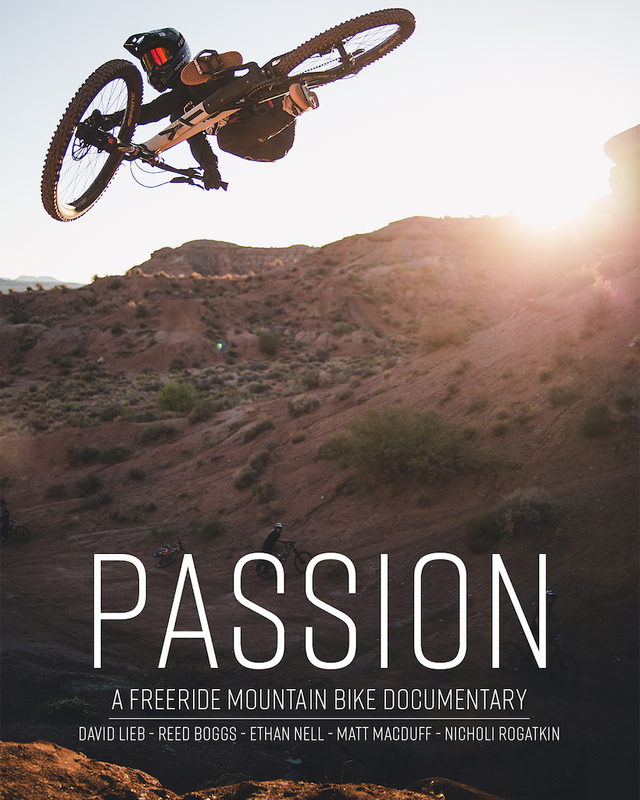 I think if there was a Passion 2....I would like to see more about riders like Lieb who are probably good enough to complete at pro levels but don’t get much coverage on social media or internet. The Nicholi story, for example, has been covered by several sponsorship videos, Redbull and is all over social media already. I realize it probably won’t happen cuz big names -get big view counts and that’s what social media is all about. Super cool video! Congrats on all the hard work paying off in such a cool final product. Listened to you on the Hookit Podcast. Keep it up!! You hero. Thanks for listening and glad you also enjoyed Pete's work! Thank you for posting the full video. Free Ride used to be riding down impossibly steep Gnar with some sick hucks on natural terrain. This is cool but its slope style and dirt jumping. Lieb rocks and is very underrated. Great footage! Thanks so much for this free content. No advertising just a great little documentary. Very well done and featuring some excellent riders. Thank you. i met Peter this summer at highland MTBpark, really cool dude living the van life! keep up the good work buddy ! I really enjoyed that, great camera work and story telling. Looking forward to what's next for you Peter! Was plus/minus on riding dh snow trails tomorrow. After watching I'm +++ riding. Sick video. Thanks for the high quality, great story, and free content!! 24:10 Is that Dan Foley? woooooo, what a great movie and fl*ck ! for FREEEEE ! keep making MTB great like this ! That was amazing! Rad as hell! Thank you, Peter! fires are now stoked,, now time to go riding. Awesome video well done guys and congrats!! @peterjamo4: lol, dont listen to him. i could tell you spent a lot of time on it and funded it yourself. the fact that its free to watch is awesome. @bmxrace121 why would you write that to someone who spent hundreds of hours of their own time making a movie for free out of sheer passion for the sport? Think how you would feel if someone were to insult you about a project you cared about. awesome to have some free content like this but i am not going to lie, i did like deathgrip more. Death grip was done by a full professional production team. This was done by a 19 year old with his own hard earned cash.